Someone thought I would find this interesting, and I think you'd too. Click on the images to enlarge and see the details. 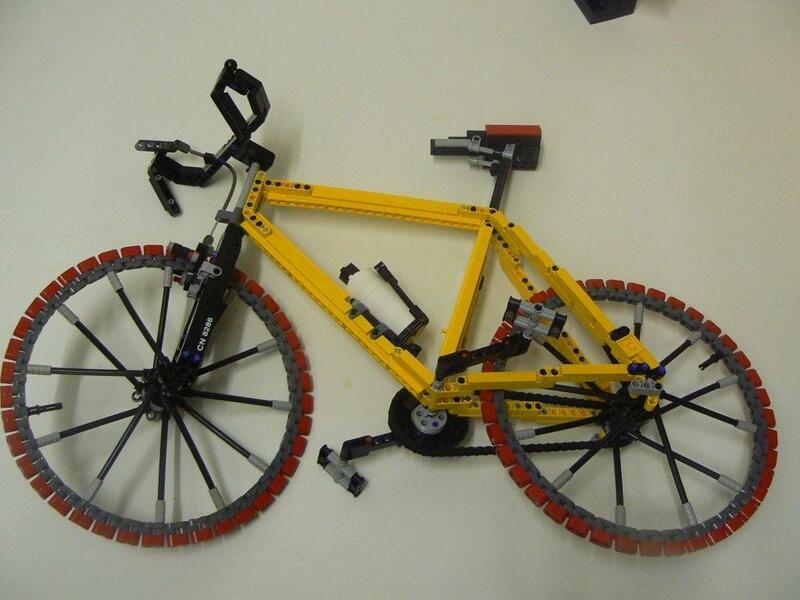 You can find it at BrickShelf and it is labeled as a 1:3 scale racing bike. In fact it looks to me at a smaller scale, but who cares. It is absolutely awesome for the details and originality! That's a great MOC! It reminds me so much of my bicycle, even though mine isn't a racing bike. :P I'm not so sure about the red plastic tires though. 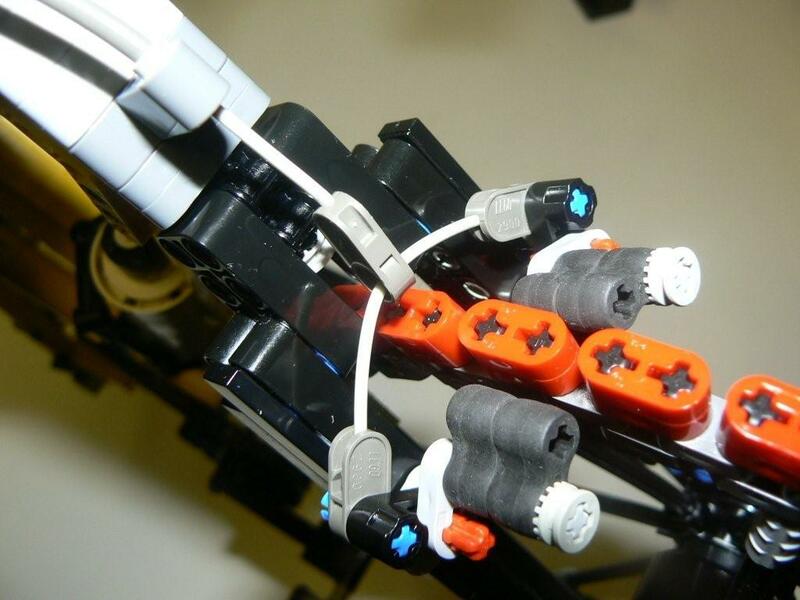 I would have chosen to use some of those black rubber 1x2 TECHNIC joiners instead. Looks nice but I don't bending of parts. Maybe not exactly bending, but taking advantage of parts tolerances. 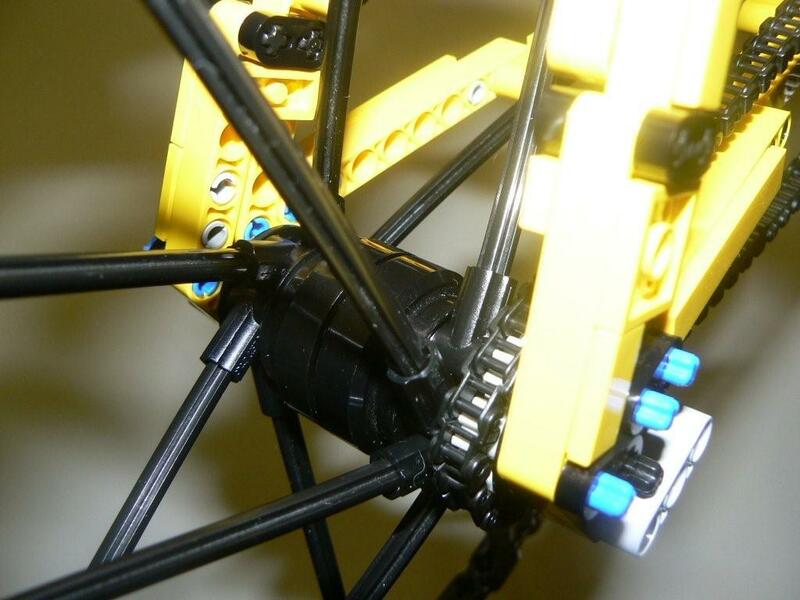 Toa - if black rubber 1x2's were used, then the wheels would almost certainly be floppy and clumsy, with the 1x2 half liftarms, the tolerances keep the wheel firm and sturdy. Great moc!! I´m a bikeaholic, so this one is ecpesially interesting. Love the wheels and the brake. I remember to see it, for the interior radius (closer to the rim). But not the opposite. Red tires is not uncommon. 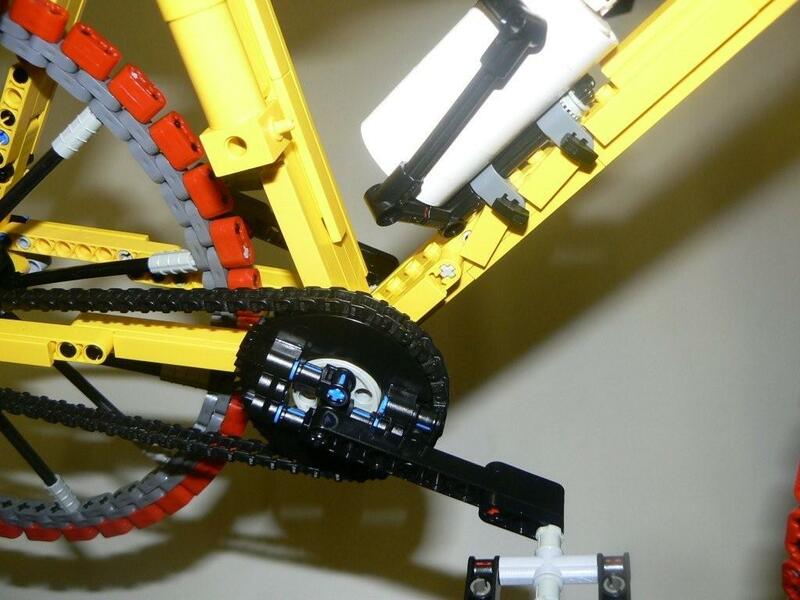 Great MOC, perhaps the best LEGO-rendition of a bike I've seen actually. I'd love to see more MOCs here BTW, this blog is my only source of things Technic at the moment.